Election of officers will occur during the May meeting. 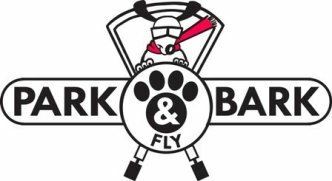 Greetings Orlando Ski and Travel Club peeps! Hope everyone is enjoying the beautiful weather we’ve been having in Central Florida! YES, we love to go play in the snow but how lucky are we to live where the sun shines 99% of the time! In April OSTC participated with Alfond Inn’s Art Happy Hour Art Tour. It is always thought provoking (and head scratching) to hear the docents analysis of the art…though I don’t always “get it”, it does make me look harder! And it’s always enjoyable socializing with other OSTC persons! Also in April, OSTC cruised the Winter Park Chain of Lakes at dusk, that was REALLY beautiful, such a great time of day to be out on the water! We even picked up a hitch hiker, a local resident ski clubber who lives on the chain! We had adult beverages and snacks while listening to our guide provide some old Winter Park history (& some really corny jokes), such as pointing out the Historical estates-built many decades ago. 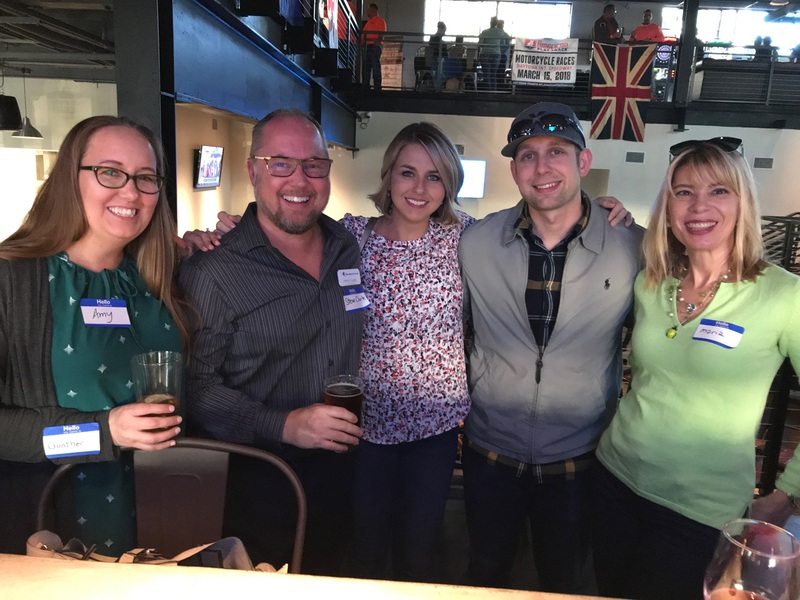 Wednesday, May 9th will be OSTC’s Monthly Social to be held at WP Ale House on the patio. We had another great turn out in April, let’s repeat for May! Food is always provided, bring a friend! 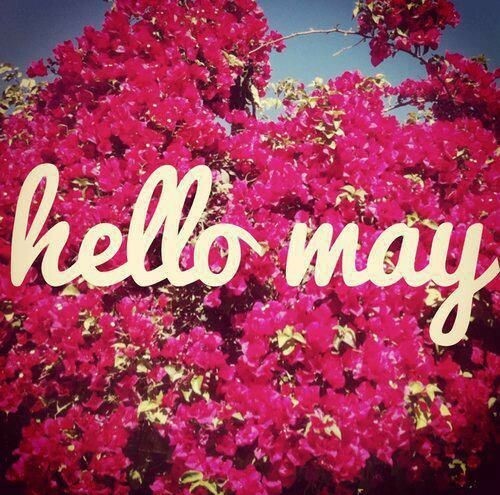 Our May meeting will also we our annual Election of Officers, our annual Business Meeting; yet, believe me…it’ll be short & sweet! The Ballot is posted within this newsletter; however, we will also take nominations from the floor night of the event. Should any of you who have not stepped to the plate yet… we NEED NEW blood to help lead us into the future! I keep reminding everyone, our Club is a 100% volunteer operation! 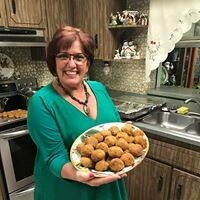 Thursday, May 24th,come join us for a “tasty” evening at The Meatball Stoppe, they are launching their first Food Network Style cooking class. It’s mostly a cooking demonstration yet with a little hands on, then we dine on the fabulous food prepared by a very vivacious cook that keeps things interesting. You get to eat and drink until your hearts content! More details HERE. Then for June, we’ll repeat our Monthly Club Social and the Funday Humpday Happy Hour events. Plus, our next “local adventure” will be Sunday, June 10th, on a Historical Guided Walking Tour of Sanford (about 2 miles), hosted by a very knowledgeable insider! We will follow this with Dinner and drinks at The Alley/Fuel BBQ, while being entertained with Sunday evening Blues Jam! More details HERE. 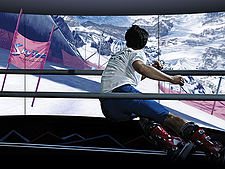 OSTC likes to be active and social…come join in the fun! Space still available on the Tennessee Rafting Trip & New Zealand Adventure Trips. See everyone next on Wednesday, May 9th at WP Ale House! ELECTION OF OFFICERS WILL BE HELD WEDS, MAY 9TH. 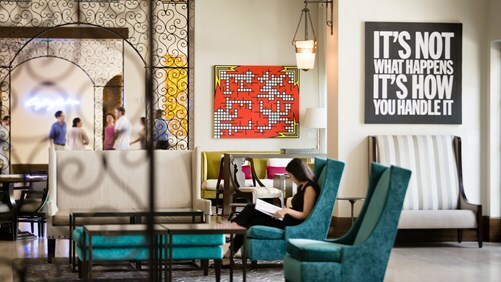 A group of OSTC members and friends perused the bright and eclectic art collection at the The Alfond Inn, following a happy hour at the upscale Winter Park hotel on the first Wednesday in April. Stay tuned for notice of another art tour in the near future! 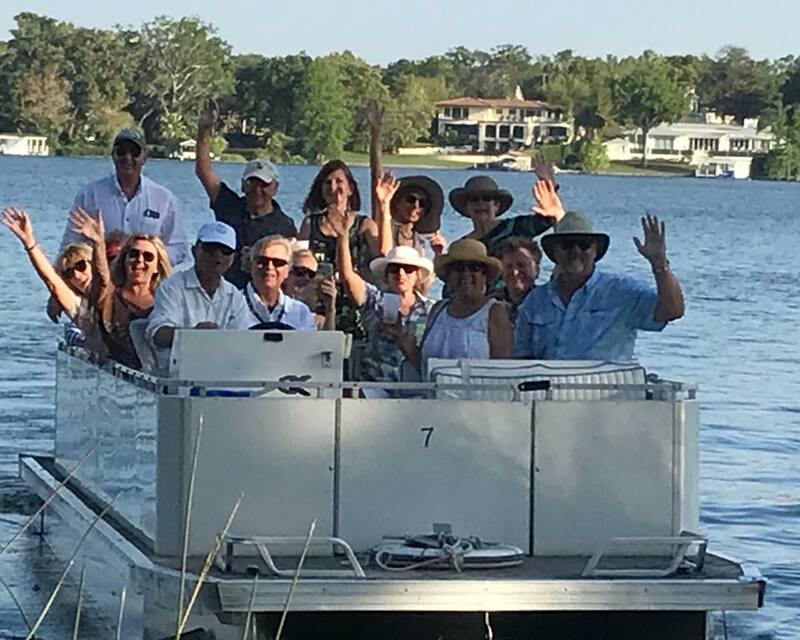 Debbie and Sarah hosted the private tour of the Winter Park Chain of Lakes! It was a lovely twilight tour! 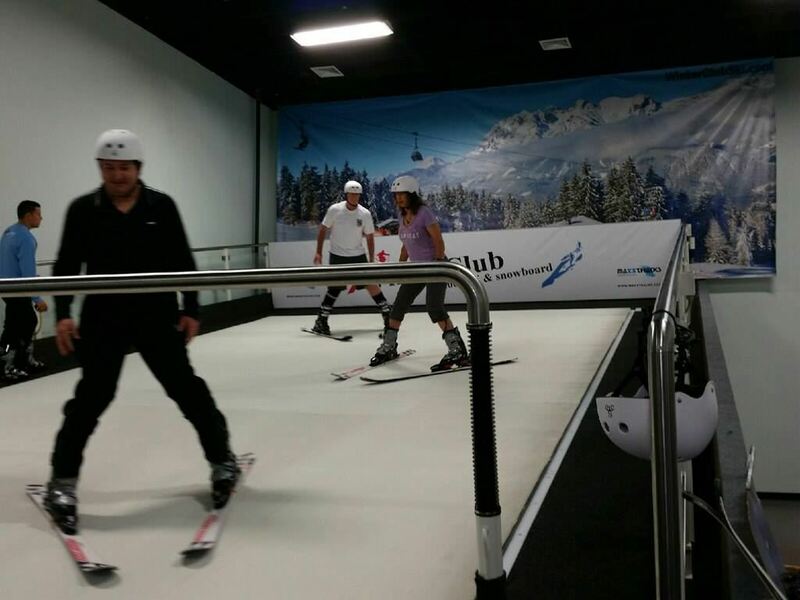 Meet other people that love participating in activities such as Running, Hiking, Tennis, Snow Ski and Boarding Trips, Adventure and Party Trips! Just stop by, say hi and hang out for bit. We’re meeting in a Super New Downtown Orlando location at the ACE Café with Easy, Convenient and Free Parking. 4-7pm Happy Hour Specials include $3 Domestic Drafts, $4 Wine, $4 Drinks and $6 Happy Hour Eats menu! RSVP on Meetup.com through the link below and Save this date Wednesday 5/16/18 on your calendar now! Our second Humpday Happy Hour in April was a Success bringing a really fun group together that socialized long enough to close the bar!! e-cook-book 'What Can I Bring?" AND a special surprise at the end. **Must have minimum of 15 people to secure La Famiglia Room. Reserve your spot by calling Betsy @ 407 221-3590. Payments made to Isabella by CC on May 17th by calling 407-270-6505, ask for Isabella. $65 per person plus tax. Gratuity not included. Bring your own vino. Really a great evening with friends. Please call Betsy for any questions. Join us as we take an abbreviated historical walking tour (about 2 miles) in the Sanford Historic District of homes and commercial buildings. OSTC Treasurer Jackie Warren leads monthly tours throughout Central Florida and will be sharing the stories behind the well preserved locations on the National Historic Registry. Leisurely pace on the city sidewalks. Wear comfortable walking shoes and casual attire. Don't forget to bring a bottle of water for the walk. We'll head to the Alley / Fuel BBQ for dinner, drinks and their Sunday evening Blues Jam. Cash or credit cards accepted at the venue, no cover for entertainment. If you can't join us for the walking tour, join us at The Ally!